I have a PC which has been upgraded from Windows 7 to Windows 10. At some point during one of the upgrades, some accounts have been “upgraded”. It all looks seamless until you take a look with Cygwin, which I use to make some backups. And herein lies the problem. 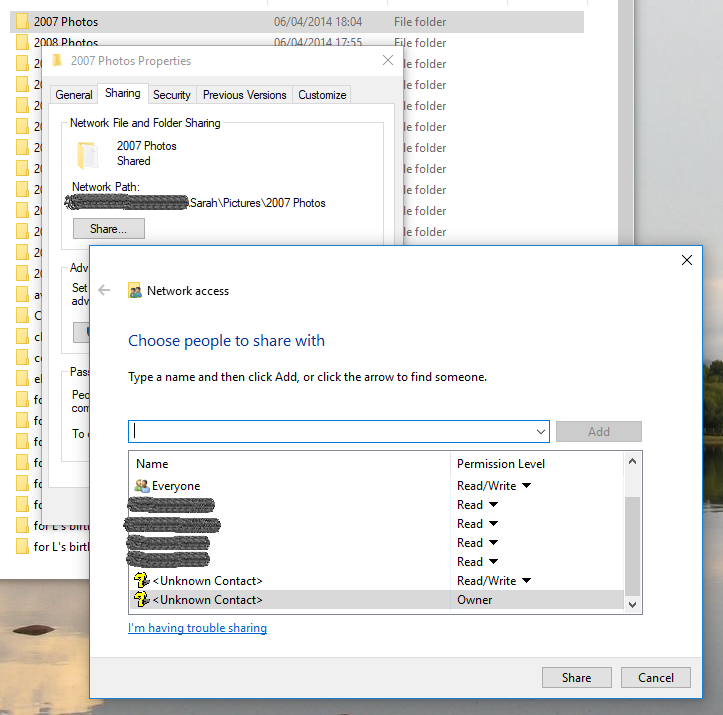 All the above are really owned by user “Andy”, and have been since 2007, but somewhere along the line, maybe in a Win10 upgrade, they’be been re-owned by the operating system. Who’s that “Unknown Contact”? I suspect that’s actually the GUID of the original “Andy” account. We bought this printer in a sale. It was missing a few important parts, including the SD Card with software on it to control it from a laptop. Without that software, we would be limited to the four models that were already in the printer. 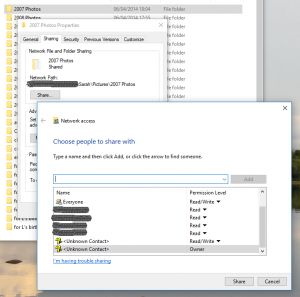 I wasn’t able to find the contents of the SD card, but I found some software online. The Dremel 3D printer website must have changed since the instructions were produced, because the software it referred to has vanished, and there was something else instead … which also requires a firmware upgrade. Connecting the USB cable, the printer wasn’t recognised by my ancient laptop. I cheated and borrowed my wife’s laptop (newer version of Windows, newer hardware), in order to install the firmware. Once that was done, I re-installed the Dremel3D software on the ancient laptop, and it detected the printer OK. I imported a Lego-compatible brick (Thingiverse item 1729056), and printed it from the Digilab 3D slicer software, via the USB cable. 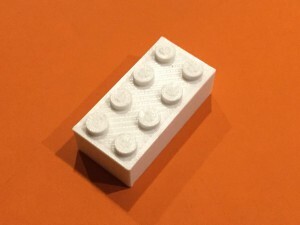 Using “standard” resolution (0.2mm layer height, 25% infill, 220 degC), it took 18 minutes to make a 2×4 brick. The software estimated 0.88m of filament. The brick is mostly compatible with real LEGO, which suggests it is a remarkably good test for the accuracy of the printer. After clearing some existing filament from the print head and adhering the build tape to the perspex build platform, I levelled the bed using a train ticket (which is approximately 0.3 mm thick according to my Vernier Gauge) instead of the (missing) levelling card (which is 0.3mm thick according to the instructions). I couldn’t get my old laptop to connect to the printer. 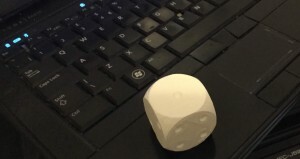 However, there are a few test models in the printer itself, including a die (singular of dice). It took about 21 minutes to print. Laptop for scale. Because the spool holder was also missing, I cheated a bit, and used a small spool-less length of PLA, sticking out the side of the machine. My Dad has been trying to persuade me to buy a 3D printer for several years. 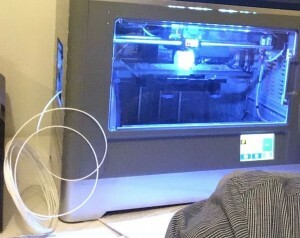 He has four at the moment, and has plenty of good advice, including a library full of things to print off Thingiverse. the spool lock – the barrel thing that holds the filament spool. Pretty important for operation. The SD card – which contains the software and some sample 3Drem files. Pretty important for operation. For the price we paid, I was prepared to give it a go, despite the above shortcomings. 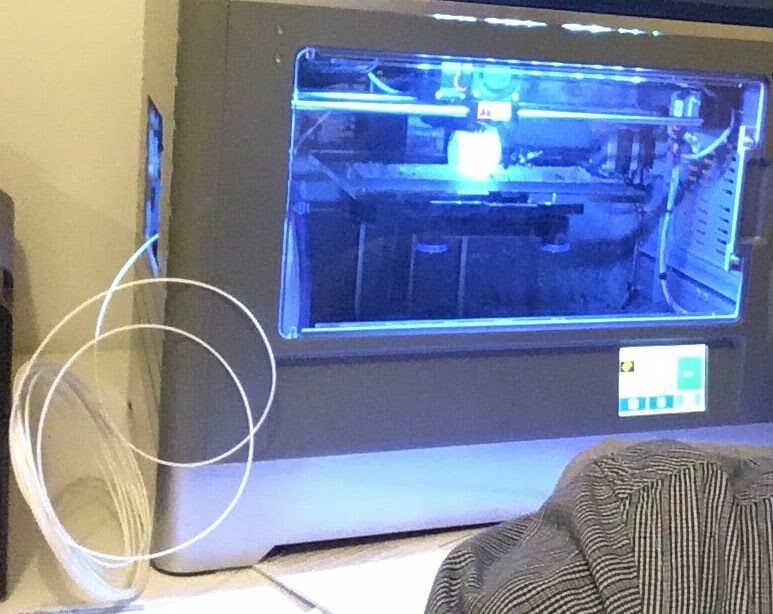 It can’t be that hard to fix a 3D printer. 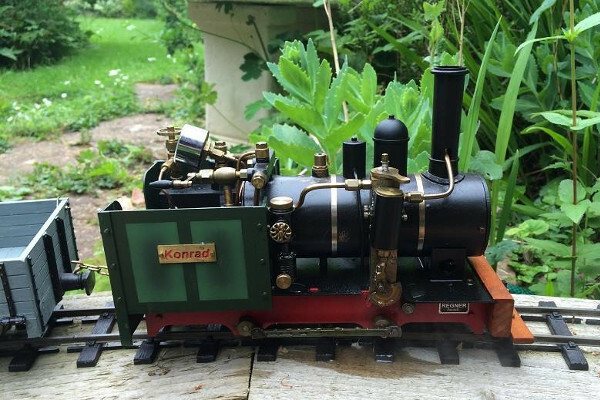 This is a Regner Konrad, kit-built loco. It’s a geared, oscillating-cylinder loco. The revering lever is on top of the cylinder, and the cylinder drives a flywheel, and the gearing, which makes it quite a smooth (and realistically slow) runner. The regulator is in the cab. This is about as simple as it gets. A short while later, my wonderful wife used this photo (below) for my birthday card. More good weather has meant more progress on the railway, which is excellent news. 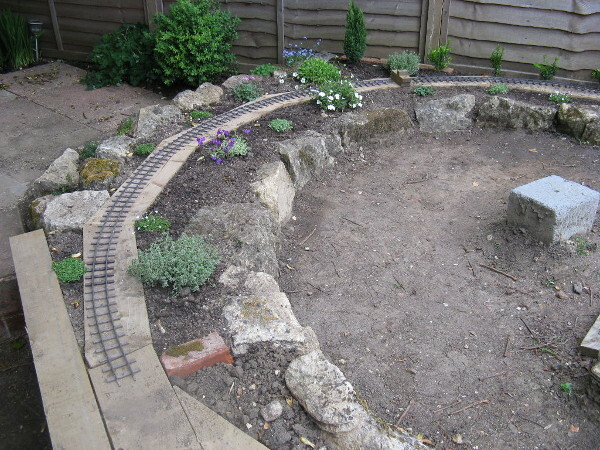 Actually, to tell the truth, there’s another garden project which should be commanding my attention, but it was such a sunny day that I had to retreat to a more shady part of the garden — what an excuse to get on with building the railway line eh? I have laid a bit more track, and put down some ballast. The ballast is actually horticultural grit, which is just about the right size. 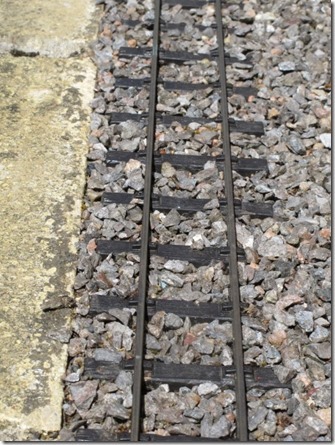 Here’s a photo of a newly ballasted section. The photo above is taken in the spot on the left hand side of the photo in my previous update. You will see that the grit extends beyond the edges of the timber base and among the plants, It’s also interesting to see how much the little thyme plant (in the foreground above) has grown in 2 weeks. I have not (yet) followed my friend’s advice to glue the ballast down. I wanted to see how badly it would move in the rain. Early in the week, it hailed (yes! in May!) and the ballast has stayed roughly in the same place, which I am very pleased about. 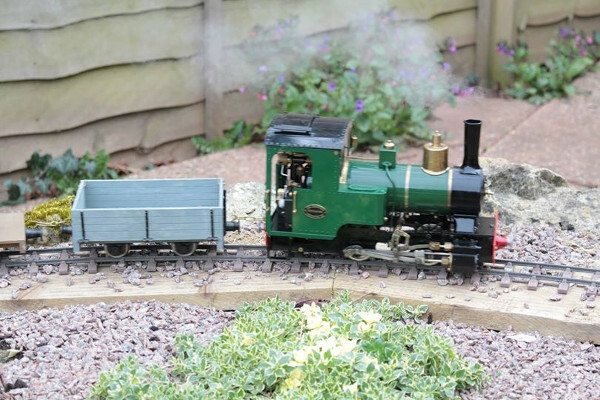 Today, we have a Special Guest appearance by “SteamOil”, owner of the Tryfon Vale Light Railway. 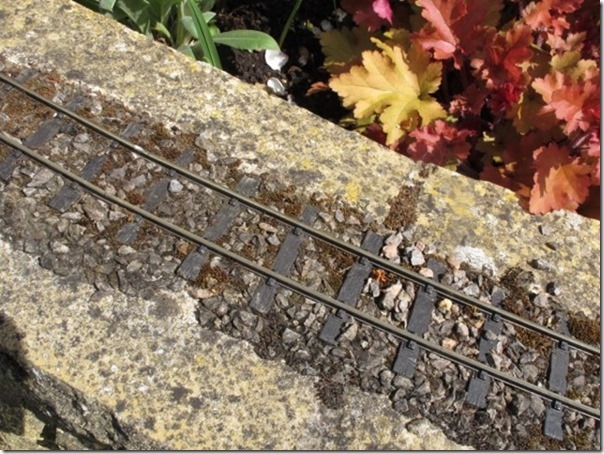 He shares his experiences of how different ways of ballasting have fared over the life of his garden railway. I have use three different ballasting techniques over the years. The only problem was that over the years the peat content encouraged the growth if moss which I had to kill off as it rose over the rail head leading to derailments. The bulk of my line uses horticultural grit held in place with a 50/50% mixture of Exterior PVA and water with a dash of washing up liquid added. This lasts several years before there is a need to be patched and re-glued. 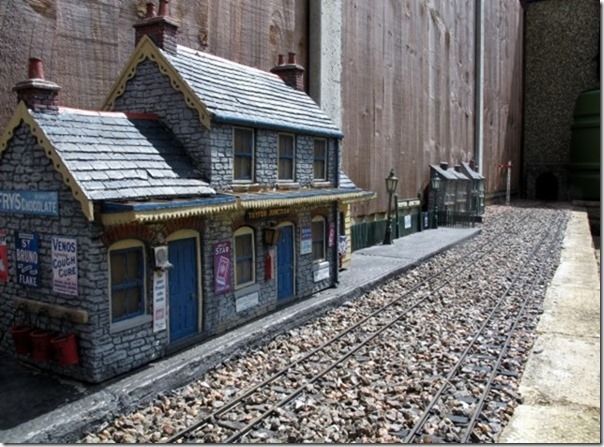 I have recently had to relay the station area due to fencing works but again I used the PVA method. Experience seems to indicate that if the ballast is mainly in the shade it seems to break up rather sooner. 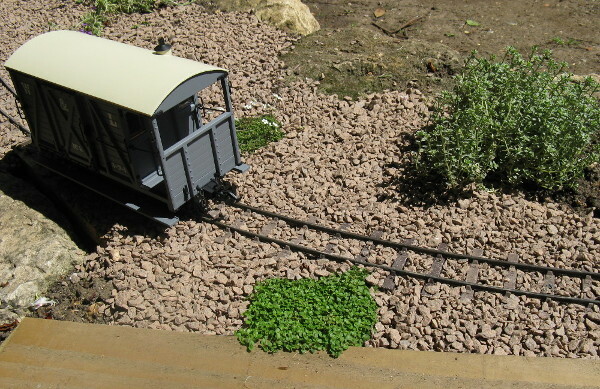 The shadowed side of the garden has been completely re-ballasted this spring using the Swift Sixteen greyish/white ballast again fixed with PVA/ water. As the raw material was nearer white than grey, the mix was toned down with a small quantity of Black Exterior water based paint added to the PVA mix. Time will tell how it weathers over the years. The effect at present is the nearest I have ever come to a scale appearance. Looking back at the Vale of Evermore video, [see blog entry below] he looks to have secured his ballast in place by adding timber up-stands to his bases to prevent the ballast from being displaced. There are no up stands visible in the herbaceous sections. The only problem I can see is that the soil might get washed into the ballast with heavy rain or the the other way round! At long last, I’ve got to the stage where I can lay some track. This spring, I’ve tidied up the corner of the garden, built up the rockery on the corner, and fixed boards to the bricks and blocks that I mentioned in my previous update. 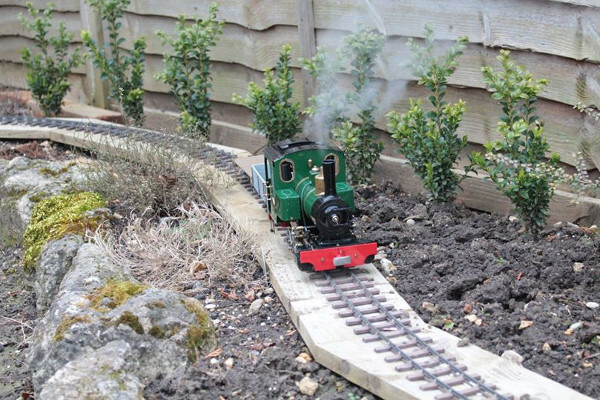 We’ve been blessed with good weather this Bank Holiday Weekend, which has given me time to finish planting up the rockery, and eventually, on Monday afternoon, I fixed a few lengths of track down. Along the fence visible in the photo, I’ve planted a dwarf conifer, and then where there isn’t much space, a line of little Box plants, which should provide a nice green hedge. Inside the rock circle will eventually be grass. The block on the right-hand-side of the photo has a hole in which marks the centre of radius. A few more lengths of track to go, and I can remove this trip hazard!